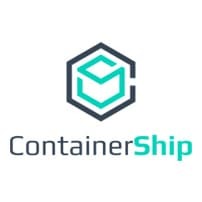 Containership launched at TechCrunch Disrupt in 2015. It was founded by developers and IT operators who required more from the existing landscape of platforms to manage containers at scale across any cloud or server. Containership has grown to become an emerging leader in multicloud docker deployments. Backed by Draper Triangle Ventures, Birchmere Investments, and Riverfront Ventures, Containership is Multicloud Made Easy. Learn more about how Containership and InfluxData are working together to make their platforms interoperable, including availability of InfluxData in the Containership Marketplace. Containership offers one simple interface to deploy and manage docker containers across any cloud – public or private. Now integrated with InfluxData, developers using Containership can quickly spin up their InfluxData monitoring solution as they scale their containerized applications across multiple cloud environments. Phil Dougherty and Gunnar Aasen will show you that it can actually be simple to deploy, manage and scale containerized applications on a mix of any public or private cloud with Containership. With this varied environment, you will gather metrics and events from your apps and microservices to centrally view and manage all components with InfluxData.